Whether you're looking for a job in academia or an industry job, we have resources to aid in the search. Review the differences between the two job sectors below to learn more about what is expected in both. Cur·ric·u·lum vi·tae: Latin, course of (one’s) life. The curriculum vita (CV) is the standard document one uses when applying for jobs in academia. The CV is more detailed than a traditional resume and summarizes your qualifications and experience. In addition, the CV highlights teaching, research, and service to the university and community. In a CV, it is important to highlight formal classroom and informal teaching experiences. Research sections are emphasized for institutions more focused on research. You may also want to highlight success in acquiring grants, and scholarly awards for individual and group research. Depending on the job description or advertisement, a company/organization may have one of the following requirements: resume and cover letter required, resume required and cover letter optional, or resume required. We recommend submitting a cover letter with your resume 100% of the time. In your cover letter, you may want to expand upon your teaching and research experience. In addition to your resume and cover letter, your application materials may include research or teaching philosophies. These documents address how your prior research and teaching experience will impact your future research plans, and your method of classroom instruction. The Chronicle of Higher Education has prepared a comprehensive "how to" using feedback from professors and administrators. We also encourage you to bring your documents to the Career Development Center for review. Recommendation letters are your opportunity to showcase your professional network. You want to solicit recommendations from faculty who can speak on behalf of your teaching and research experience. It is important to seek recommenders who are will to speak positively of your experiences and work ethic. Better learn the fundamentals of your field. Obtain the "inside scoop" about specific job opportunities that may not be know to others. Connect with your local community. Assist in the creation of mutually beneficial and reciprocal professional relationships. Schmoozing or using/pursuing others solely for what they can provide you. A contest to see who can "collect" the most contacts. In addition to academic conferences, informational interviews are a method of networking. Informational interviews are a method of obtaining information and guidance from an experienced worker in the field you exhibit interest in. These interviews are a great way to learn more about a job sector, university/college, and/or position you are interested in, and are a way of developing your professional network. Most academic positions are posted on university and college websites. Identifying the type of institution (heavy research vs. heavy teaching; large vs. small; public vs. private) you are interested in working for will allow you to narrow your options and make the job search much easier. You can choose to visit individual university/college websites to begin looking for positions, or use the popular HigherEdJobs.com website. HigherEdJobs.com allows you to search for academic positions both international and U.S. opportunities, and allows you to search by institutional type, state, and region/metro area. 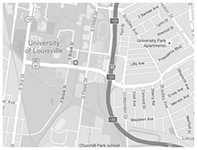 As a graduate student and future alumni of the University of Louisville, you have life-long access to Cards Career Connection powered by Handshake. By logging into this system with your ULink information, you are able to search for academic positions posted by universities and colleges looking to recruit UofL students and alumns. Branching Out: Branching points is a collection of resources designed to give science graduate students ideas for nonacademic careers. Career Journal - Wall Street Journal: This resource includes job positions in management and professional positions, and also provides resume tips. USAJOBS: Find positions in government labs, organizations, and offices across the country. Versatile PhD: Versatile PhD is the oldest, largest online community dedicated to non-academic and non-faculty careers for PhDs in humanities, social science and STEM. In addition to professional conferences, informational interviews are a method of networking. Informational interviews are a method of obtaining information and guidance from an experienced worker in the field you exhibit interest in. These interviews are a great way to learn more about a job sector, university/college, and/or position you are interested in, and are a way of developing your professional network. In your graduate program, you have likely spent a lot of time developing a curriculum vita (CV), but when applying to positions outside of academia, the resume is widely used. Don't worry, you haven't spent a lot of time and energy developing your CV for nothing; information on your CV will be used to develop tailored and targeted resumes for each position for which you apply. As far as length goes, the general rule of thumb is as follows: however many degrees you have/are working on, is how many pages you should have. For instance, a person who has a bachelor's and master's degree, and is pursuing a doctoral degree would have a three page resume. You can schedule an appointment with your Assistant Director of Career Engagement for assistance with converting your CV to a resume by logging into Cards Career Connection powered by Handshake with your ULink credentials. The industry specific job search looks much different than that of the academic job search. To land a great opportunity, it's important to have a high-quality resume and cover letter, develop a professional network, and research employers. Have a high-quality resume and cover letter. Applicants who spend the time and effort necessary to develop high quality application documents have a better chance of making it through the screening process. We recommend a tailored resume and cover letter for each job application. You can schedule an appointment with a staff member to review your documents and provide recommendations before you apply for positions. Get involved with Career Development Center programming. Participating in Career Fairs, Cardinal Career Treks, presentations and more events will better position you to understand what employers are looking for when hiring. Take advantage of our free programs to learn more about professional development, local employers, hiring events, information tables and sessions, on-campus interview events, and more. Read your weekly Monday Memo email or visit our events page on the right-hand side of the page to stay updated.